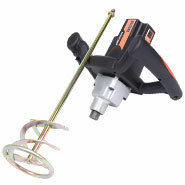 Ideal For All Popular Mixing Applications. Why hire when you can now afford to buy? Introducing the professional's choice 1100w multipurpose mixer! Superb value and an excellent investment. 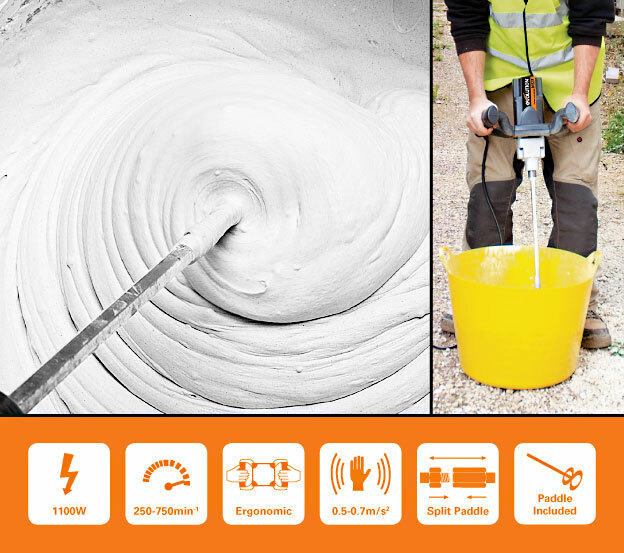 A truly versatile product; ideal for all popular mixing applications such as plaster, mortar, tile cement, artex, cement lime, epoxies, gypsum & granulates, plus screeds & sealants. No more manual mixing - the twister does all the work for you! There really is no substitute for a dedicated mixer, they're fast and easy-to-use. A high quality mixer featuring a variable speed control to suit all materials, from 250 - 750min-1. Smoothly mixes to perfection, every time. Safety on / off switch can be locked on for ease of use. Robust headstock with powerful high torque motor and an ergonomically designed soft grip handle, for maximum comfort and control. Supplied with 120mm multipurpose mixing paddle, which separates into two pieces for storage convenience. Why hire, when you can now afford to buy? 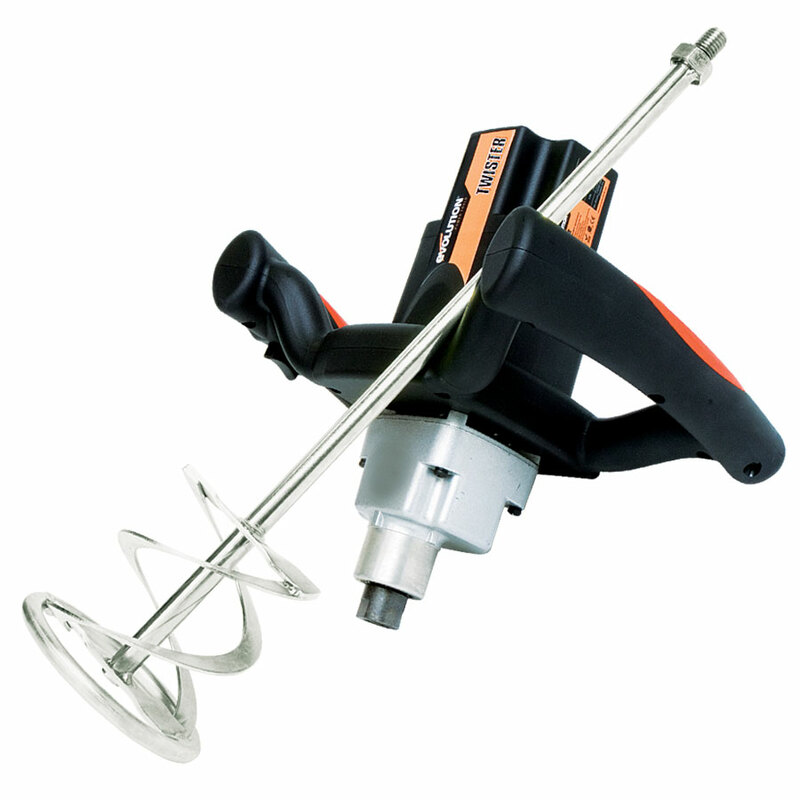 Introducing the professional's multipurpose mixer!